Maltese holidaymakers have struck Tunisia off their destination list following the recent terrorist attack by a gunman in the popular resort town of Sousse that left 39 people dead. Most travel agents operating to the North African country said all their bookings had been cancelled out of security fears since June 26. 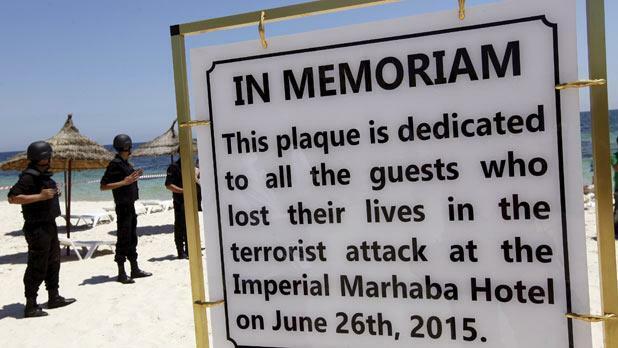 “This terrible incident has killed tourism in Tunisia,” Joe Caruana, of Jac Travel Bureau, said. The fear of a repeat attack is one of the reasons why 3,500 British tourists decided to cut their holidays short after the Sousse attack. But some have declared in interviews and on social media they were determined to see their holiday through to the end to defy the terrorists. Tunisia’s Ambassador to Malta, Zohra Ladgham, is greatly encouraged by this defiant attitude. “It is an act of symbolism against terrorism. It shows we will not cower in front of terrorism,” she said, adding that Tunisia was very appreciative of international solidarity. Read more in Times of Malta.